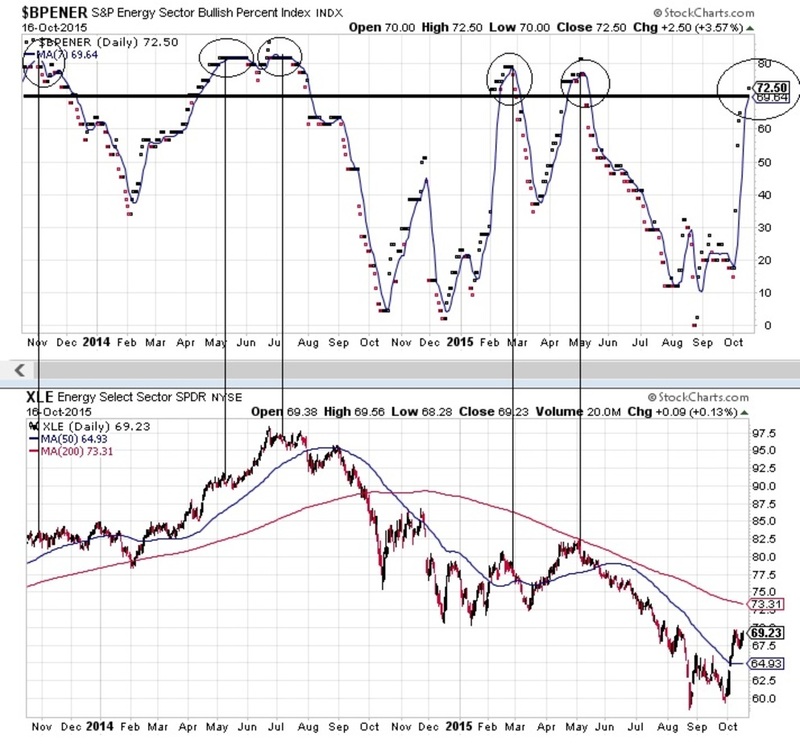 The Energy Sector (XLE): Too Bullish ? ​a bad technical sign. Closing price on XLE was 73.23 on July 15. ​reach that level ​was on October 4 2011.​( See first chart below ). ​a good technical sign indeed. Also, the XLE ETF closed above the 50 DMA ( Day Moving ​Average - Red Line - Chart Below ) on October 5 then at 65.41. 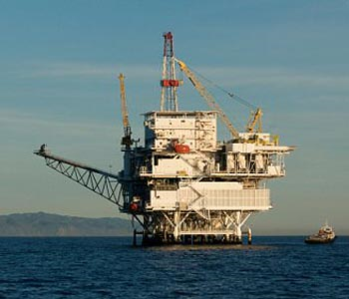 ​​​​And on a ratio basis ( Energy Sector ETF ( XLE ) over the Mighty​ SP500 Index ), the Energy Sector started to outperformed since August 24 and the the 7 DMA on that ratio did turn upward on October 5 . So on a relative basis​​ ( Ratio of the Energy Sector ETF( XLE ) over the Mighty​ SPY SPDR ), we reached level last seen in mid-July 2015. ​( See second chart below )​. One crucial Technical Factor is that we broke a Major Resistance Trendline on October 5 then at 64.27 that started back on May 5 2015. XLE ETF is in a Bottoming Out Phase indeed. ​​( See second chart below - Blue Trendline -Ellipse )​. ​​But the most interesting Technical Factor is that Sentiment ( as seen through the SP500 Energy Sector Bullish % Index ) reached a zone which when occured in the past two years was a short term toppish sign for the XLE ETF.